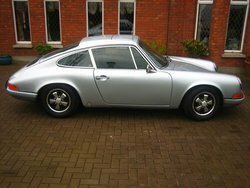 We undertake all restoration work large or small, from small rust repairs through to complete restoration projects and even accident damage if you are unfortunate to suffer a mishap in your classic. All work is photographed and documented. Where possible restorative work is done to factory specification, panels are replaced to the original joins and spotwelded as they would have been at manufacture. 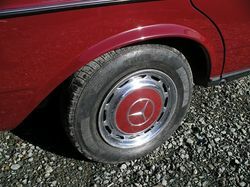 If you have a Classic Car you would like to have restored or repaired? Be it a large or small job, we will be happy to give you an estimate. Estimates for work depend usually on us being able to see the car, or at least seeing a set of photos showing close-ups of any trouble areas. We concentrate on quality and thorough work - no quick fixes! Potential customers are advised to consider to what lengths they would like their projects to go (i.e. to 'every day use' level or 'concours') and what they would be prepared to spend. Restoration is never cheap, but it can represent good value if, of course, the car in question is worth restoring. Scroll down and click on the pictures below to see more detail of our current projects and previous work. Current ongoing projects - Click the Pictures to follow progress online. 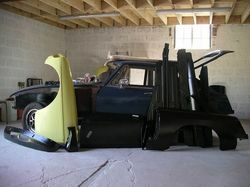 Bodyshell rebuild of a 1974 MG B GT Accident Damaged Volkswagen Karmann Ghia. Full rebuild on 1974 Triumph GT6 Mk3 1969 GT6 to Spitfire 6 conversion and rebuild to Concours Condition.